In the spirit of Oregon Weed Awareness Week, we share these words from the Oregon Department of Agriculture. The economic impact of just 21 noxious weeds in Oregon has been estimated to reduce Oregonian’s personal income by $83 million per year, which is equivalent to 3,329 jobs lost to Oregon’s economy The economic harm caused by invasive weeds in Oregon is matched by its impact on natural habitats and ecosystems. Some of these plants may look pretty, but have nasty characteristics. They reproduce prolifically and crowd out desirable native plant species. In some cases, they can change an entire habitat important to wildlife. In Central Oregon, ribbon grass– an escaped ornamental plant– is affecting the Metolius Basin, highly valued for its pristine watershed. The invasive weed has already started to crowd native vegetation. ODA is working with the US Forest Service and Friends of the Metolius in an effort this summer to carefully treat those areas where ribbon grass is present. The process has strictly followed the National Environmental Policy Act (NEPA). 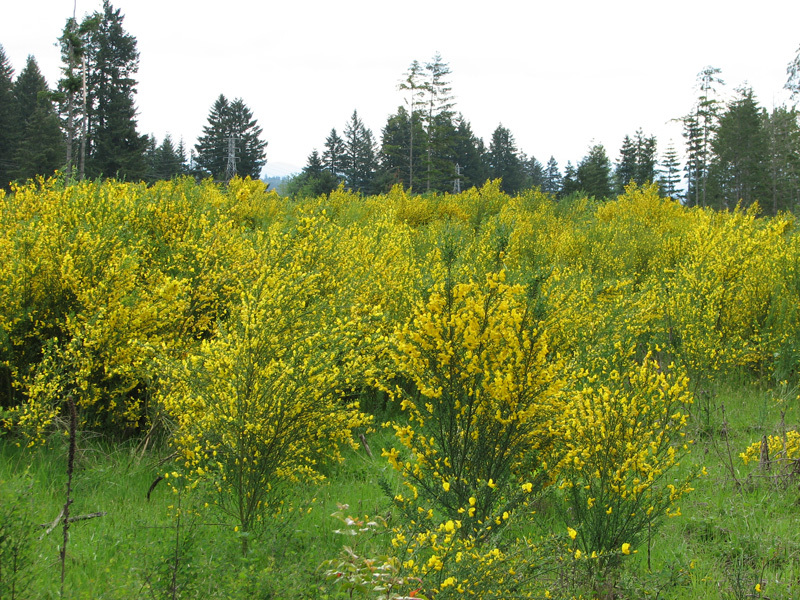 Yellow floating heart is another invasive weed showing up in the area of Bend and Redmond. This weed actually thrives in the water itself and has been a problem in Western Oregon for years. ODA and other cooperators are working directly with landowners to treat infested sites. Other water quality impacts caused by noxious weeds include erosion and decreased soil stability. Knapweed and blackberries are examples of species that spell trouble in riparian areas. The governor has produced a healthy environment policy vision as part of a 10-year plan for Oregon. That plan has five long-term strategies that can easily plug in noxious weed control. impact watersheds, they increase fire danger and alter the natural fire cycle. The second strategy is to “conserve, protect, and restore key watersheds, fish, and wildlife species, and improve forest and rangeland health.” Weeds interfere and, in some cases, reverse restoration efforts. They pose threats to key habitats, including those important to salmon and sage grouse. Weeds compete with or replace forest and range species, and they can promote erosion. The third strategy is to “reduce Oregonians’ exposure to toxics.” Successful efforts to prevent new introductions of weeds or controlling existing ones can obviously reduce the use of pesticides. ODA’s highly successful biological control projects on noxious weeds are another way to reduce dependence on pesticides. The fourth strategy is to “help to build great communities for a growing population.” Oregon’s natural beauty and recreational activities are impacted by invasive weeds. Gorse and thistle can physically prevent access to hunting, fishing, and other outdoor activities. Human health can be affected by hogweed and poison hemlock. Of course, the economic impact of weeds is well documented and also threatens a community’s health. The fifth strategy is to “improve the effectiveness and efficiency of natural resources management in Oregon, and provide a stable base for addressing existing and emerging resource challenges.” This is where the SHARE theme comes into play. Invasive weeds are a big issue that requires the collaboration and cooperation of many agencies and the public. Dedicating one week each year for the past decade has moved the needle. Efforts during Oregon Invasive Weed Awareness Week and 51 other weeks a year will lead to success. For more information, contact Tim Butler at (503) 986-4625. For local invasive weed information contact Clackamas County Soil and Water Conservation District at 503-210-6002.